Since 2005 powerHouse Books has organized a highly sought-after Portfolio Review and a series of Publishing Workshops. On February 28, 2010 powerHouse Books will offer their Sixth Annual powerHouse Portfolio Review event, a platform for all levels of aspiring and professional photographers to present their body of work to be reviewed and critiqued by leading experts in the fields of photography, art, media, and advertising and to receive guidance and mentoring for future artistic and commercial career development. 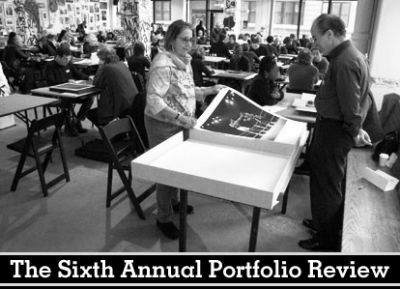 The portfolio review accepts about 100 photographers, who will meet with a panel of experts that includes a range of publishers, photo editors, commercial photography agents, gallery directors, photography critics, art book packagers, and designers. Each attendee will be assigned five one-on-one reviews with members of our panel of renowned photography professionals.